There is a very relaxed and welcoming feel here. This Kiwi city attracts many creative professionals including film directors, artists and photographers, who come to capture the amazing scenery. There are weekly craft markets where you can get local souvenirs and a wide range of art and crafts. If you want to know more about the local culture and history, spend some time in one of the city’s museums or art galleries such as the Lakes District Museum and Art Gallery, Milford Galleries and Artbay gallery. 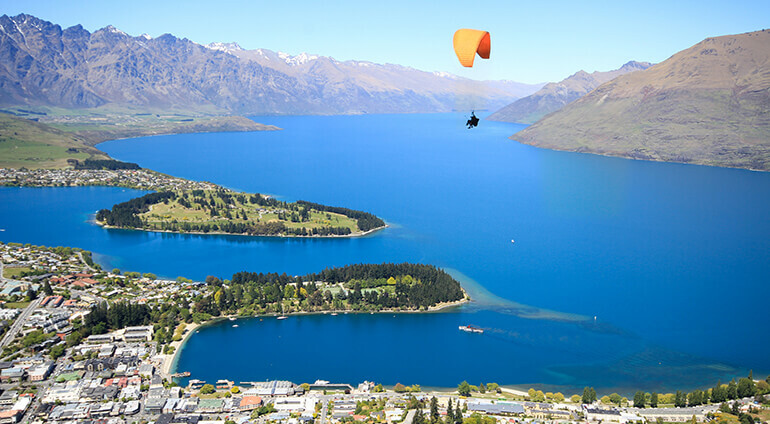 Queenstown also has a growing culinary scene, with plenty of restaurants serving all sorts of cuisines. Travellers passing through and those looking for a fun night out will appreciate the nightlife. There are plenty of bars and clubs to keep you busy until the early hours. You can also find a few friendly pubs and some wine bars if you fancy something more low key.